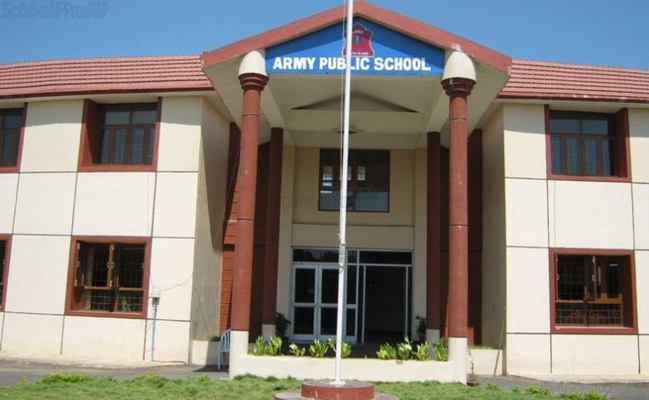 Admission process will start from February onwards.,Application forms for Std I to IX for wards of Serving / Retire Defence Personnel can be had from the school office on any working day. 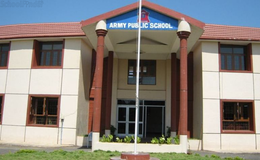 1.Extract Or Record Of Service Duly Attested For Defence Service Or Personnel For Date Of Birth.\n2.Birth Certificate Issued By Military / Civil Hospital / Municipality / Panchayat.\n3.Latest Marks / Certificates From The Previous School.\n4.Transfer Certificate Duly Attested.\5.Service / Discharge / Pension Certificate And Identity Issued By The Sainik Welfare Officer For Ex-servicemen.\n6.Attested Copy Of The Mark Sheet. 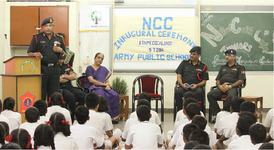 Admission Fees:-Registration fees for Officer is 300 Rs.,JCO is 300 Rs.,OR is 300 Rs.,Civilian is 300 Rs.,\n Admission Fees for Officer is 1,200 Rs.,JCO is 600 Rs.,OR is 400 Rs.,Civilian is 5,000 Rs.,\nSecurity (Refundable) for Officer is 6,000 Rs.,JCO is 4,000 Rs.,OR is 3,000 Rs.,Civilian is 9,000 Rs.,\n Fees are as follows:-Administrative Fees for Officer is 1,395 Rs.,JCO is 1,195 Rs.,OR is 1,020 Rs.,Civilian is 2,410 Rs.,\nTuition Fee I-V for Officer is 1,170 Rs.,JCO is 1,000 Rs.,OR is 840 Rs.,Civilian is 1,640 Rs.,\nVI-X for Officer is 1,330 Rs.,JCO is 1,170 Rs.,OR is 1,000 Rs.,Civilian is 1,810 Rs.,\nXI-XII for Officer is 1,510 Rs.,JCO is 1,330 Rs.,OR is 1,170 Rs.,Civilian is 2,000 Rs.,\nComputer Fee including CAL for Officer is 275 Rs.,JCO is 275 Rs.,OR is 275 Rs.,Civilian is 325 Rs.,\nPupil Fund for Officer is 75 Rs.,JCO is 75 Rs.,OR is 75 Rs.,Civilian is 125 Rs.,\n Science Fee IX-X for Officer is 50 Rs.,JCO is 50 Rs.,OR is 50 Rs.,Civilian is 75 Rs.,\nXI-XII for Officer is 75 Rs.,JCO is 75 Rs.,OR is 75 Rs.,Civilian is 125 Rs.,\nComputer Science Fee (Elective) for Officer is 60 Rs.,JCO is 60 Rs.,OR is 60 Rs.,Civilian is 60 Rs.,\nBio - Tech Fee (Elective) for Officer is 75 Rs.,JCO is 75 Rs.,OR is 75 Rs.,Civilian is 125 Rs. 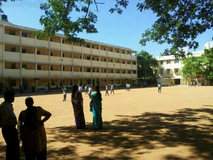 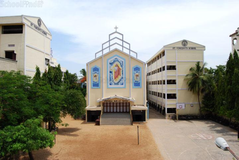 Best schools in Chennai, Best schools in Nandambakkam, Best CBSE schools in Chennai, Best CBSE schools in Nandambakkam, Best Coed schools in Chennai, Best Coed schools in Nandambakkam, Best English medium schools in Chennai, Best English medium schools in Nandambakkam.